Its never too early to plan your summer paddling adventure! Join the Huron River Water Trail in Lansing at the 20th Annual Quiet Water Symposium for a day of talks, demonstrations and exhibits from outdoor recreation experts. This year’s symposium features presentations by world famous authors, photographers, and expedition travelers. Talks cover skills, safety, local and distant destinations, bicycling, sailing, diving, and history. Exhibitors on the show floor include clubs and nature centers, handcrafted and historic watercraft, conservation and watershed groups, outfitters, liveries, and biking, hiking and water trails. 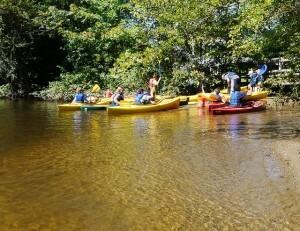 Come to QWS to plan your summer paddling adventures!